CommonMark and GFM are great, but we often face requirements beyond the specifications. 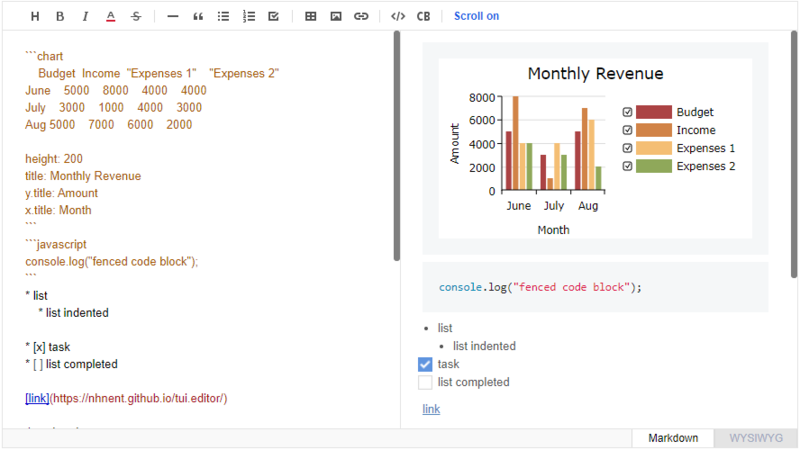 The TOAST UI Editor comes with powerful Extensions in compliance with the Markdown syntax, while also providing APIs so you can develop your own extensions. Some may like the productivity of Markdown, while others may be looking for a way to make it easier to edit. The TOAST UI Editor can be the coordinator of both. It offers Markdown mode and Wysiwyg mode, which can be switched at any time during writing content. Both work together conveniently in one document. i18n: English, Dutch, Korean, Japanese, Chinese + language you extend. Below codes are for npm. If you are using bower please see Getting started with bower. 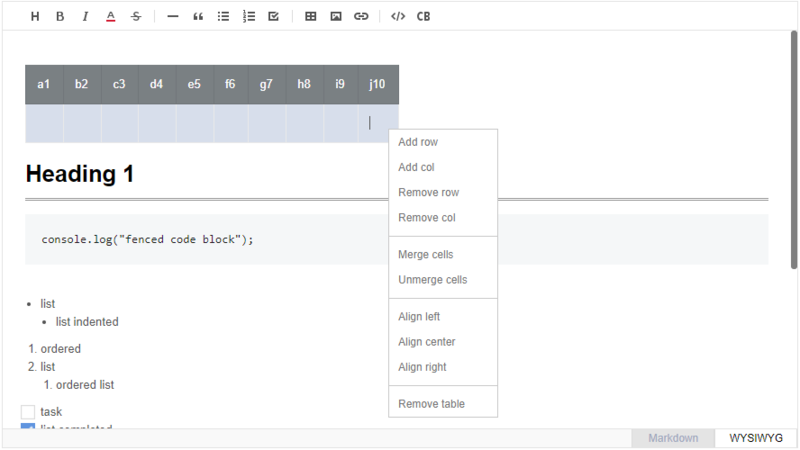 Initialize Editor class with given element to make an Editor. TOAST UI Editor provides a Viewer in case you want to show Markdown content without loading the editor. The Viewer has much lighter than the editor. Be careful not to load both the editor and the viewer. Since the editor already includes the viewer function, you can initialize editor by calling Editor.factory() with viewer option true value to make the editor a viewer. You can also call getHTML() to get rendered HTML string. 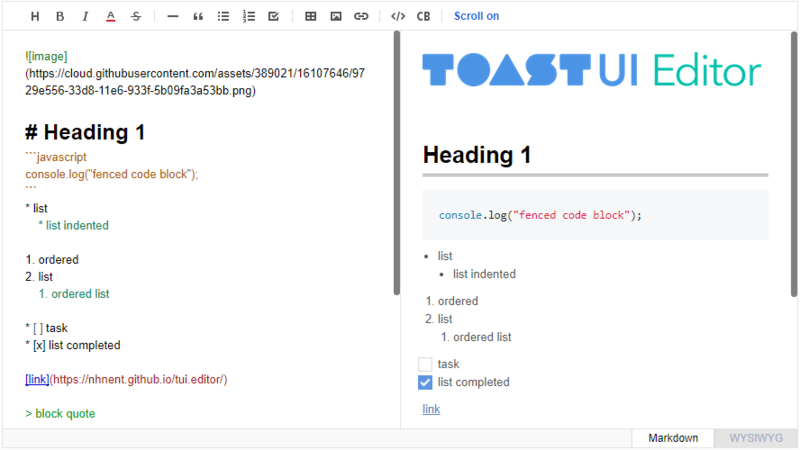 TOAST UI Editor respects CommonMark and GFM. So any Markdown renderer including markdownit can handle the content it made. You can use any of those renderer without Viewer if you want. This software is licensed under the MIT © NHN Ent.